It’s not just Apple that plans to bolster its layer of security for the iPhone and iPad with an iris recognition technology, Samsung too. The Korean phone maker unveiled ongoing efforts to add an iris scanning sensor to its mobile device offerings in a move to address the rising threat of identity theft. And in the future, you will be required to thrust your eyes onto the scanner, whether it be on a high-end Galaxy phone or the low-end budget models. The announcement came nearly a month after Apple was reported to have filed for a U.S. patent on an iris recognition for its smartphones and tablets. The patent application was dated December 2013, so it is safe to assume that the system is already in the works by this time. Who knows? It might even find its way into the forthcoming iPhone 6. Back to Samsung’s plan, the move is expected to help increase the security of Samsung devices and software which will be offered to enterprise and government customers – the Samsung Knox system. Knox is already widely implemented on nearly 90 million devices globally, and it is also used by millions of banking and healthcare businesses. It works by isolating suspicious apps to avoid malware infection. But iris recognition is just one of the options Samsung is looking into. The technology is particularly feasible because of the level of difficulty that it may pose to unauthorized users that would try to gain access to another’s personal device. But the cost is one factor that the security system has yet to take flight until now. Samsung Galaxy S5 already sports a fingerprint scanning system, but the technology might have lost its security sheen to the increasingly sophisticated hacking methods of attackers. But even a simple idea could be employed to disable the fingerprint scanner. Just recently, Security Research Labs researchers were able to pry open the smartphone, exposing the vulnerability of the security layer that could lead to the compromise of the users’ personal data. The Germany-based researchers indexed a real fingerprint onto the Galaxy S5 scanner and used a latent mold of that fingerprint to deceive the security system. As simple as that. 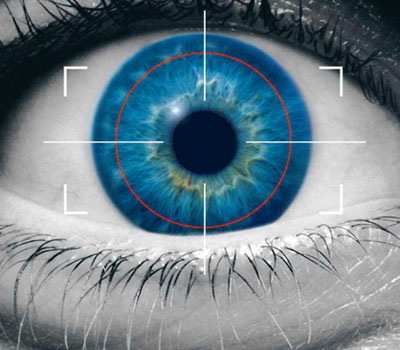 Meanwhile, the iris recognition system has never been known to have its guards down, mainly because of the level of sophistication required to bypass the biometric technology. That is so because you cannot replicate a human retina by any means imaginable. Didn’t got much of this security layer but I think it’s a good idea to make a device more better.